They keep their lives and environments well-regulated. They are steadfast in handling their responsibilities. They seek meaning in relationships, ideas, and events. Require independence of thought and desire efficiency. Excel at analyzing situations to reach the heart of a problem. Tend to examine the world with all five of their senses. Are creative types and often have a gift for language. They are curious about systems and how things work. Are hands-on learners who live in the moment. Live in the moment, experiencing life to the fullest. Are initiators of change, keenly perceptive of possibilities. Adept at directing relationships between means and ends. Take a practical approach to life guided by their focus on realism. Project warmth with a genuine interest in other’s well-being. Seek continuity through harmony and collective values. Focus on the most efficient means of performing a task. 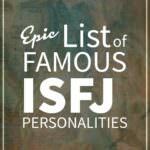 ENFJs are extremely sociable. They’re fascinated with other people’s lives and care deeply about those around them. 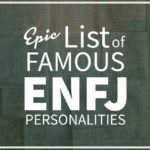 Celebrity ENFJs are no different. 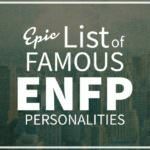 This list of over 75 famous ENFJs has many personalities you would definitely recognize as ENFJ as well as some surprises. 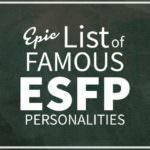 ENFPs love playing with ideas, spinning off new concepts, and discussing them with other people. They are charismatic, sociable, and exciting to be with because they always seem to have something new to explore or talk about. 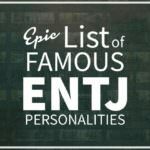 ENTJs are natural leaders and strategists. Forceful and decisive, they enjoy nothing more than analyzing situations and coming up with plans, whether battle plans or business plans, to solve them. ESFJs are everyone’s friend. They are consensus builders and conflict defusers who enjoy helping social situations flow smoothly. They may not be the “life of the party,” but they’re the ones who make sure everyone is having a good time. 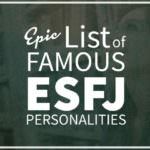 Because they’re so easy to get along with, ESFJs tend to have large circles of friends. ESFPs live by the principle that “all the world’s a stage” and they want to be the stars. Outgoing, energetic, and impulsive, they are natural performers and entertainers. 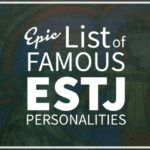 ESTJs, The Supervisors, can bring clarity and direction to confused situations, and help others focus on what needs to be done to achieve solutions. 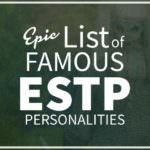 ESTPs are defined by action. They are quick, restless thinkers and poor planners. They’d rather just jump into a situation with both feet, and if things go wrong, they can always adjust on the fly. INFJs are idealists. Creative and fair-minded, they see the world not the way it is but the way they think it should be. 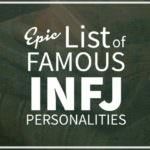 While they are caring and sympathetic to others’ troubles, INFJs are big-picture thinkers. Rather than help individuals, they look for ways to change the system. 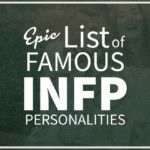 INFPs see the world, and those around them, not as they are but as they could be. Their strong principles are a source of strength and comfort against whatever the world might throw at them. 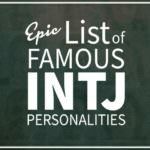 INTJ personality types are only about 2% of the population, but their forceful nature tends to make them influential, so it’s not surprising that many celebrities are INTJ. INTPs are creatures of logic. 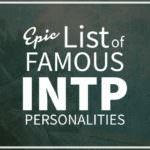 Calm, controlled, and studious, INTPs are driven by the search for reason. For INTPs, the principles behind anything can be figured out given enough time. 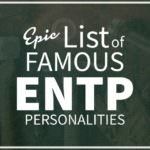 In fact, INTPs often get caught up on thinking for its own sake; the stereotypical figure of the “absent-minded scientist” is based on INTP behavior. 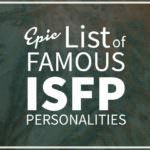 ISFPs are creative and imaginative, with well-developed aesthetic senses. They are naturally suited for work in music, art, design, or other areas where an eye for beauty is important. 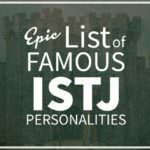 ISTJs are clear-sighted, logical, and efficient. They are planners rather than spontaneous, and prefer order and routine in their work and home lives. These celebrities fit the bill. 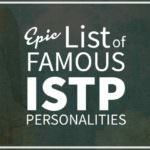 ISTPs are perfectionists who love to tinker and improve, and while not all their improvements work out, they can become formidably skilled in their field of endeavor. Are you ready to reach your full potential by working with your personality instead of struggling against it? 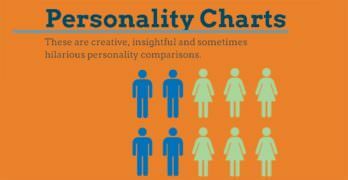 Join the Personality Club and get free updates and helpful advice when new articles are added to the site.